visit in BC is China Ridge on Bear Mountain. 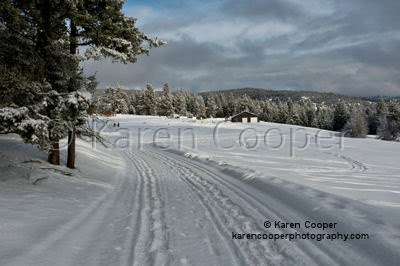 cross country and back country ski trails. pretty spectacular views of the valley below. Honestly, it becomes other worldly. you can pick out shades of blue within shades of blue in the sky. same jaw dropping effect on you. I can't get enough of British Columbia. She just keeps on getting better and better.